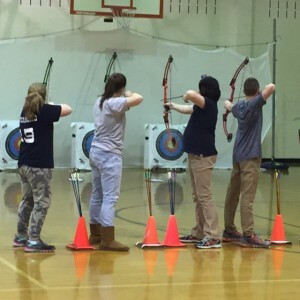 The PMMS Falcon Archery Club took part in qualifications for the National Archery State Program Tournament Wednesday at PMMS. A representative from NASP visited the school and scored the qualifying rounds. The group, under the direction of Physical Education Teacher Brian Kenney, has practiced for the last several months.